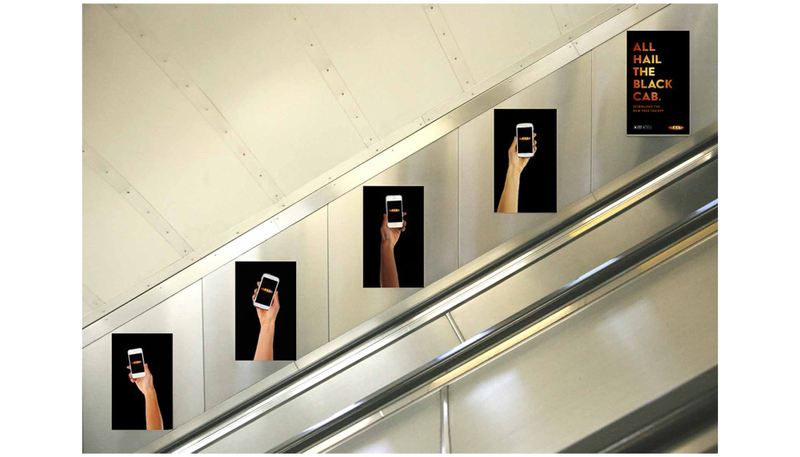 An integrated advertising campaign to sell the added value of black cabs to an increasingly price-led consumer. Responsible for: concepts and copywriting. 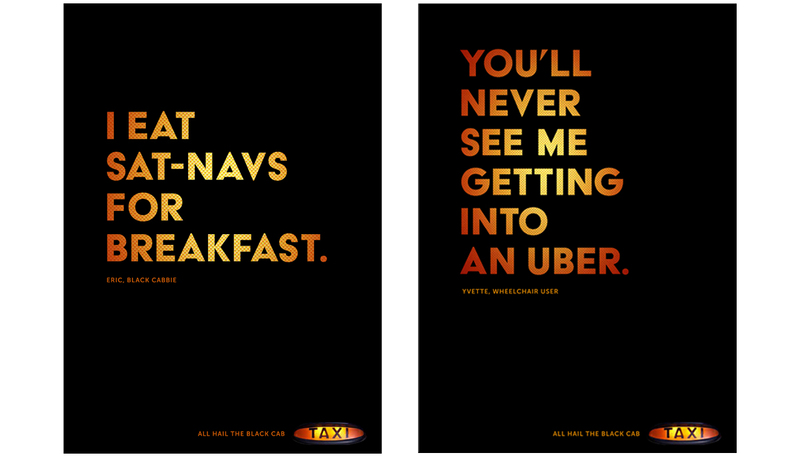 London Black Cabs – concepts and copywriting. Ask any London black cabbie, times are tough. They may have (temporarily?) stopped Uber from operating in London, but with so much competition from other taxis, there isn’t enough business to keep this iconic transport service going. The first horse-drawn carriages, known as Hackney carriages, were issued licenses in 1662. Motorised cabs were then introduced in 1908. 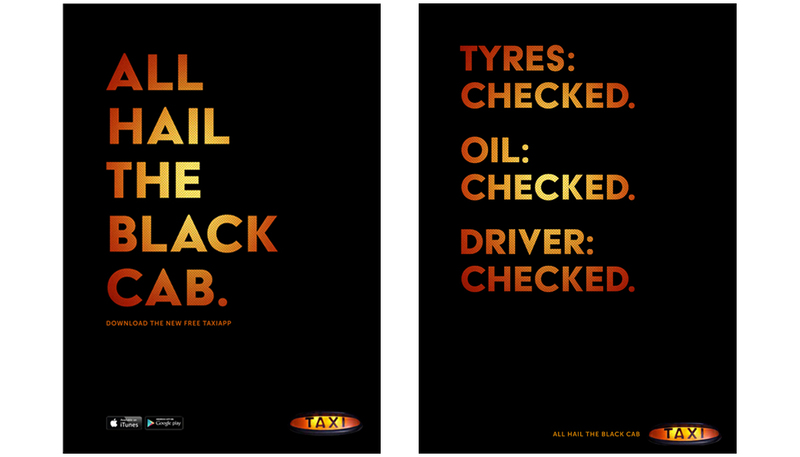 So in one form or another, the black cab has been a feature of London’s street scene for over 350 years. The modern black cab has so many advantages over other taxi services. They’re purpose built so anyone can use them, including wheelchair users. Fares are regulated by meters and set by TfL. The cabbies have to pass the world famous ‘knowledge’ and know the London’s streets like the back of their hands. They also have to undergo DBS background checks and are given regular medical checks. And with the introduction of the new TaxiApp, black cabs can now be pre-booked as well as hailed on the street. 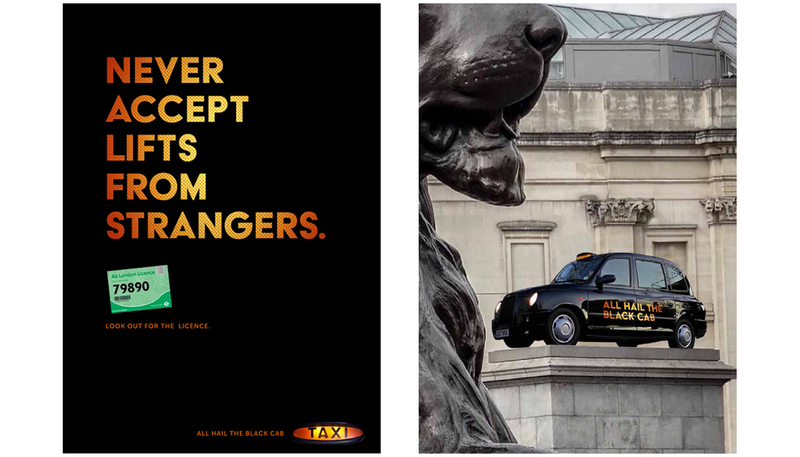 Press advertising, posters, digital escalator panels, a fourth plinth takeover in Trafalgar Square and an in-cab interactive screen (that allows passengers to follow their journey and explore nearby sites) carry the rally cry ‘All Hail The Black Cab’.